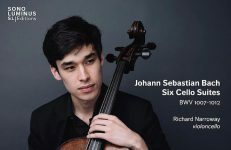 This article is part of a series centered around the members and work of the Northwestern University Cello Ensemble. 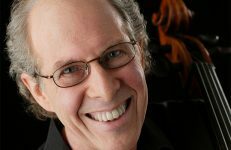 In Part 1 of this interview, we spoke with Christopher Willis about his storied career in the recording industry. In this final installment, Chris gives an in-depth explanation of the equipment he used to record the Northwestern University Cello Ensemble’s upcoming CD, Shadow, Echo, Memory, as well as a primer on microphone technology. Hans Jensen: How do you compare today’s microphones with, going way back, the tube microphone? Christopher Willis: Well, this was another thing that was interesting about working with Lou Everett at Delta Records — they love ribbon microphones. Vintage tube mics were part of that, too, U47s. U47s are still highly prized. They were used by The Beatles and in almost every studio. There was a point in time where the transistors first made a big debut into the field of microphone design where those microphones actually could be purchased much more affordably than they’d ever been. And so both ribbon and tube mics, if you grabbed them at the right time in the late ‘50s, you could get them for a fraction of what they now sell for. Hans Jensen: The same one from the same time? Christopher Willis: Yes, yes. They’re worth more now. Hans Jensen: Do they still produce them now? Christopher Willis: Not really. They’re very hard to produce. They still make tubes that you can use, but I’ve had my three U47s for a long time. What’s hard, though, with a lot of this stuff is that the tube mics involve specialized transformers. It’s usually too expensive to make these for the number of pieces that you would sell. There are companies that still make vintage microphones in terms of design, but with contemporary components. In Eastern Europe, there’s still a lot of tube mics being made and there’s still a stockpile of tubes. Hans Jensen: What can a tube mic do that’s better than other mics? Christopher Willis: Well, you know, it’s hard to say what’s better, because the fact is that the transistor mics, certainly the FET, those field effect transistors, they measure much more accurate. Christopher Willis: They’re very linear. So in terms of if you were to test these microphones, the modern transistor and FET mics would win hands down over the tube mics, but the thing is, people like the warmth of the tube mics because of the way they historically sound. It doesn’t have to do with scientific accuracy. It has to do with flavor, an organic quality. Hans Jensen: What are the top microphones today and how big a difference do the modern microphones really make? Christopher Willis: Well, it’s sort of like with designing cars — there aren’t really new inventions. It’s just reinventing old things. Microphone technology is very mature. Audio in general is a mature technology and things like ribbon mics are being remanufactured. What’s odd about that is that ribbon mics aren’t really that difficult to make. Hans Jensen: Why is that? Christopher Willis: A ribbon microphone is basically a big magnet and a piece of corrugated tin foil. That’s simplifying it a lot, but that’s fundamentally what they are. They’re just a metal ribbon that vibrates with a magnetic field and it generates a small current. So there are a lot of manufacturers that have sort of reintroduced ribbon microphones at a very favorable profit ratio. They were very popular in the ‘30s or ‘40s. They were used for almost everything — big bands, movie productions. They were good microphones. They have a sort of a warmth. They don’t have a great high-frequency response above like 35 kilohertz but they roll off very gradually and evenly. Hans Jensen: What are the best microphones today? Christopher Willis: Well, for classical recordings the focus is really on Neumann microphones and Schoeps microphones. Hans Jensen: Could you tell us a little about each? Christopher Willis: Neumann has been making microphones forever. They’re good at making large diaphragm condenser microphones. In the large diaphragm condenser microphones, the capsule is maybe the size of almost a 50-cent piece, and those mics have interesting midrange characteristics because the size of the diaphragm corresponds to a specific frequency. The wavelength of sound at that diameter is quite audible, and so you kind of get a little rise in frequency response that’s based on the relationship with the size of the diaphragm to the wavelength of the sound. 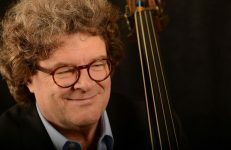 Hans Jensen: So Neumanns doesn’t work so well with strings? Christopher Willis: I would say because they’re a little brighter they tend to be better on things like woodwinds. Hans Jensen: What kind of technology is behind those microphones? Christopher Willis: It’s a capacitance issue. They have a very thin conductive membrane on top of a back plate and the capacitance of that system changes based on the gap between the membrane and the back plate, and it’s this very tiny distance and it’s a very minute signal. Hans Jensen: Are there many companies that use that kind of microphone? Christopher Willis: I would say most of them. Hans Jensen: What about the Schoeps? Christopher Willis: Well, those are dynamic microphones. Dynamic mics tend to be like the handheld microphones that a singer might use. They don’t require any phantom currents or anything. They’re basically moving coils in a magnetic field. Hans Jensen: With how much technology has changed in the last 10 or 15 years, has microphone technology improved because of that? Christopher Willis: I would say that actual microphone technology sort of matured a while ago. I don’t think there have been any revolutionary approaches to microphone design, although there have been some unusual things like pearl microphones, which are like an array of little pressure zone mics. Pressure zone mics are another type of microphone. They tend to be little, tiny dot-shaped things. They’re actually quite cheap to manufacture but they’re inherently omnidirectional. Hans Jensen: How do you judge the quality of a microphone? Christopher Willis: Well, I would say for strings, the reason people like Schoeps mics is because there’s a warmth to them. That warmth is based on the fact that they’re very friendly to sound that’s off-axis, like from the sides. Even things they’re not pointed directly at sound pretty natural, and in the case of a string instrument you want warmth. You want a full warm sound, so you want a wide field. Hans Jensen: So you almost want to account for recording the space, too? Christopher Willis: Yeah. A string instrument is not really complete in itself. It has to be in a room — you want to capture the room, too. With cellos, ribbon mics work very well, even though they have a sort of narrow figure-eight pattern. It’s because of that gradient roll-off at the high end, there’s a fullness and low distortion. They respond very well to cellos. 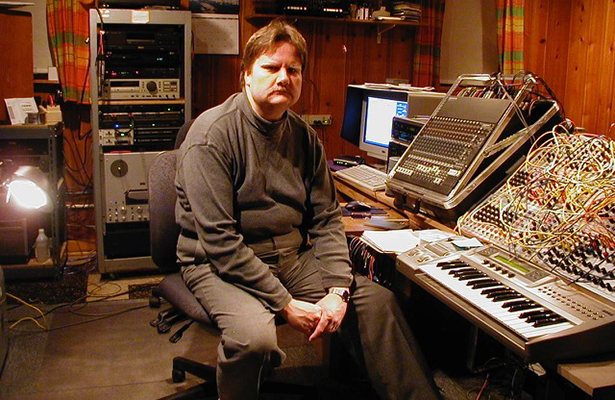 Hans Jensen: When you recorded this CD, what kind of microphones did you use? Christopher Willis: That was a combination of Schoeps and some others. I used MKH 40 Sennheiser mics, which I’m very fond of. They have sort of a cardioid pattern, which is directional. I also used a Coles 4038 ribbon mic, that’s a ribbon mic that was used by the BBC for many years. Hans Jensen: An old mic? Christopher Willis: Yes, it’s old, goes way back. Hans Jensen: Where did you place that? Christopher Willis: On solo cellos, for the solo pieces. Hans Jensen: What does that do to the sound? 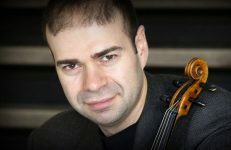 Christopher Willis: It has what’s called proximity effect, and it gives a good emphasis to the low range of the cello. It’s very sympathetic to that. So you can, based on that distance factor, sort of control this effect and get anything from a very high, sheeny sound to a very big bottom sound. Hans Jensen: When you record for a big orchestra or the opera, do they have their own standard equipment or do you bring the microphones? Christopher Willis: I often bring my own. In fact, I just recently brought at least three mics to the opera, to Rosenkavalier. But the opera does have their own base equipment that covers most things. Now, when I was doing CSO, I had a great deal of my own stuff there, and I do a lot of independent projects, of course. Hans Jensen: How did you develop the ability to know all that information about each kind of microphone? Christopher Willis: Well, you know, we all share experiences with our colleagues. We’ve all owned some of them and so we learn from each other. 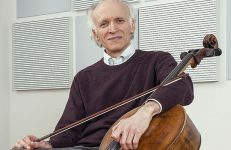 The Northwestern University Cello Ensemble is currently working on their album Shadow, Echo, Memory, which will be released by Sono Luminus on July 29. Please enjoy this sneak peek below, and be sure to become a fan on Facebook and follow them on Twitter. A couple of corrections. Schoeps are not dynamic for the most part . This part of the conversation was about Shure mikes. Also, the ribbon roll-off point was stated as 35kHz, this is a typo and should be 3.5kHz.